Hi there! My name is Yumiko. 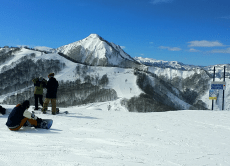 I would like to share this great experience in the winter time in Japan, skiing, and snowboarding. Japan has many nice mountains to ski and Niigata is one of the most famous and popular destinations for skiers in Japan. It is also close from Tokyo and is a perfect destination for a short getaway!